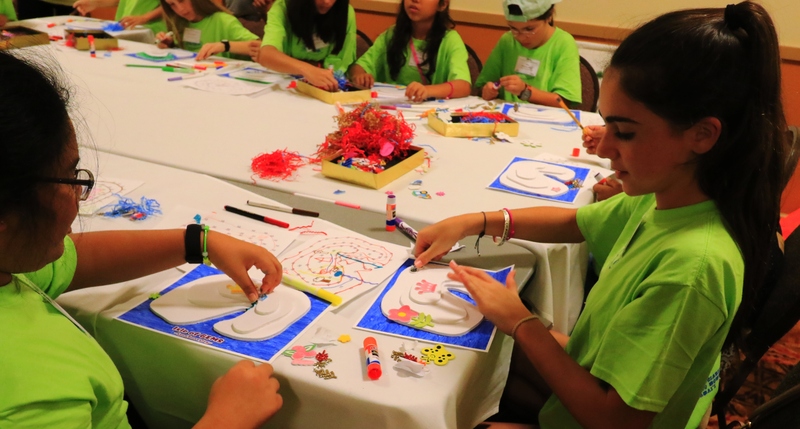 GEMS 2019 will be held Tuesday, DECEMBER 10th! In 2018 GEMS was held at the Marriot Courtyard King Kamehameha Beach Hotel on Tuesday, December 4th. Three hundred forty-three (343) 5th-grade girls attended. 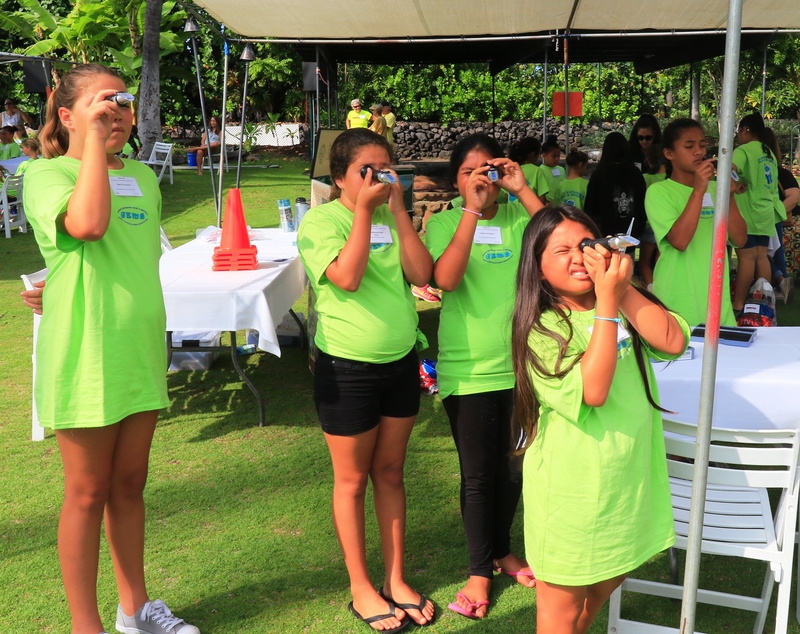 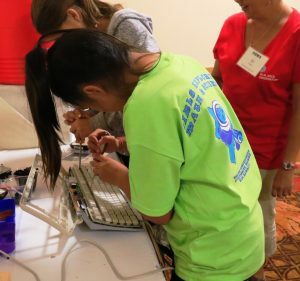 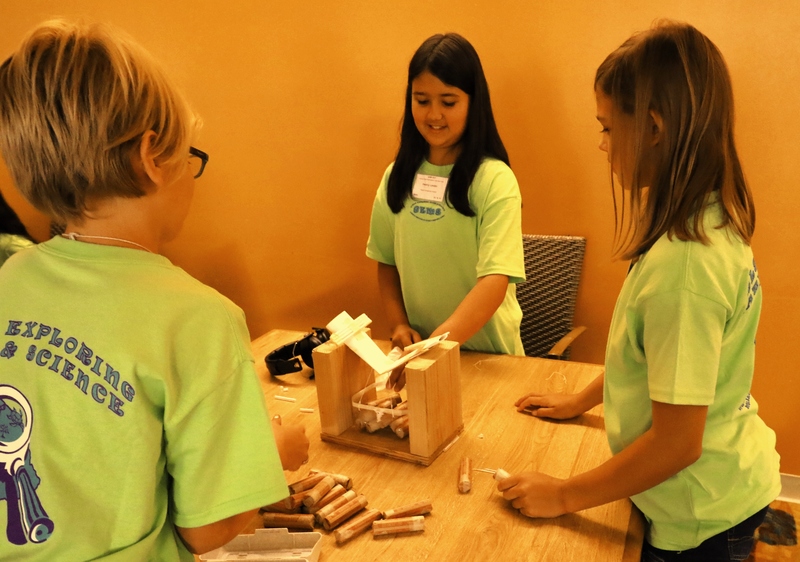 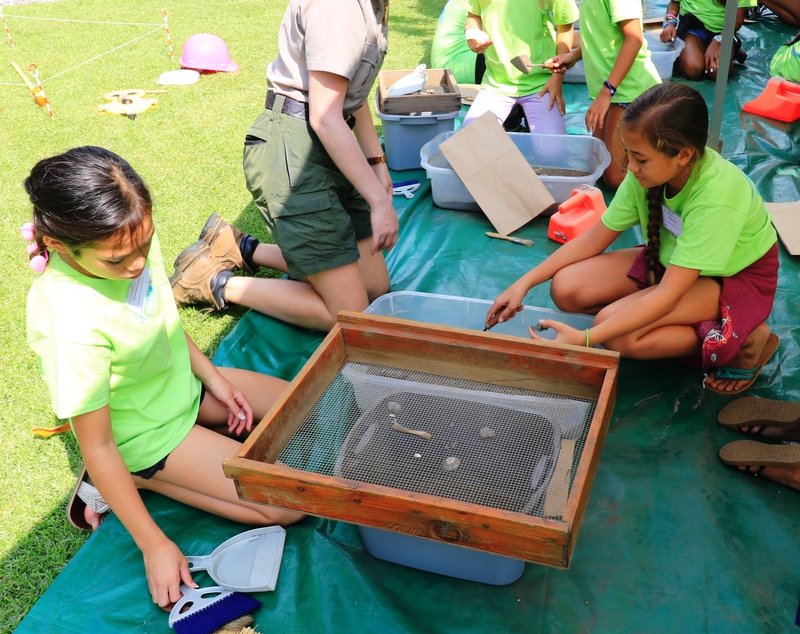 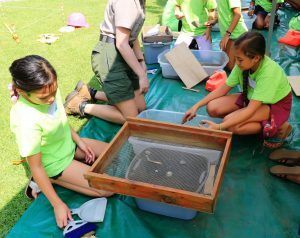 Each year, West Hawaii’s fifth grade girls are invited to Girls Exploring Math and Science or GEMS, the most important event of the calendar for AAUW-Kona. 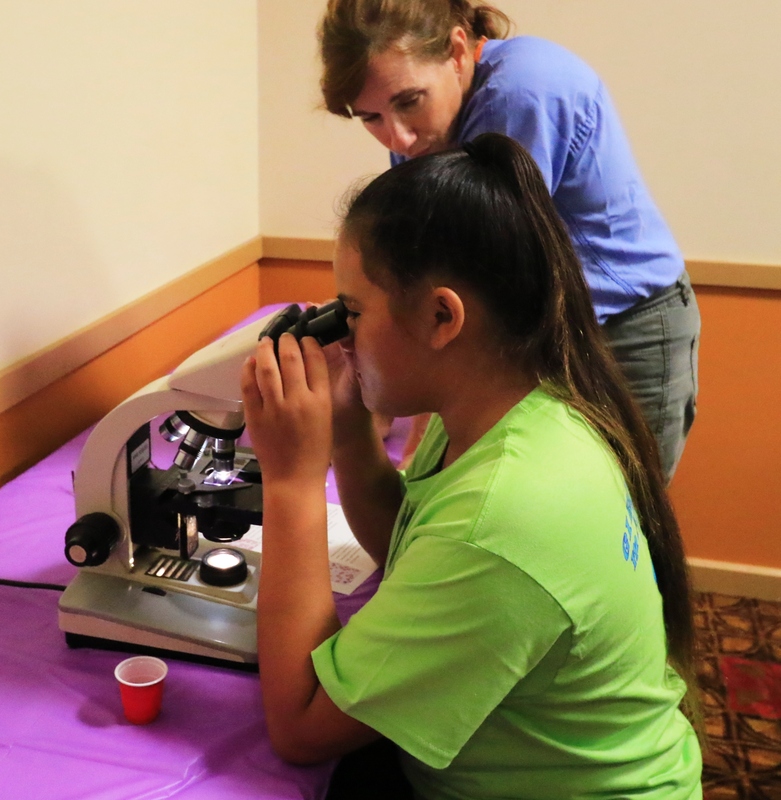 Through hands-on exhibits and workshops, women from the local community introduce girls to their occupations and show them how math, science, and technology are used in their daily work. The program is designed to stimulate interest and promote the confidence of girls in these fields. Workshop topics include marine science, architecture, financial planning, veterinary medicine, land surveying, chemistry, astronomy, dentistry, culinary science and archaeology. Here are a few photos taken throughout the day, showing the hands-on involvement of the girls in their chosen workshops.